What a mess. Ever since former developers GSC Game World began dying a slow and agonising death, the future of the S.T.A.L.K.E.R. series has been up in the air, with former GSC staffers moving onto a spiritual successor after a rights dispute. Well, that dispute has now escalated to farcical proportions, with two companies claiming today that they own the rights to the S.T.A.L.K.E.R. brand. First up was German publisher bitComposer, who claimed they'd bought the rights to the series from Boris Strugatsky, one of the authors of Roadside Picnic, a classic novel the games are loosely based on (along with 1979 flick Stalker). In view of the rumors appearing in press, we find it necessary to inform that GSC Game World and Sergey Grigorovich remain to be the sole owners of all the intellectual property rights to the S.T.A.L.K.E.R. game series and the brand overall, including all the trademarks, the game universe, the technology etc. This can be easily verified with the trademark services online. From time to time news on the S.T.A.L.K.E.R. brand purchase by this or that company appear over the Internet. We relate such a keen interest in the brand to its exceptional popularity. 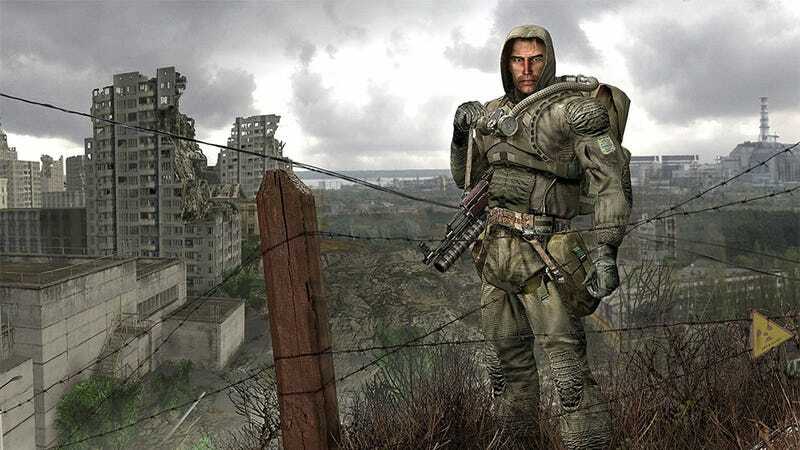 Even the purchase of rights to create a "Roadside picnic" book-based game by a small publisher is presented as the continuation of S.T.A.L.K.E.R. franchise. We have doubts regarding the mentioned product by bitComposer (the publisher of S.T.A.L.K.E.R. : Call of Pripyat on some territories), since the latter has significant debts in terms of fulfilling the obligations under the existing contract between our companies. Interesting. You could guess that bitComposer have got their trademarks mixed up, and in buying the rights to Roadside Picnic from one of its authors figure they can go and make a game that's basically S.T.A.L.K.E.R.. Which Grygorovich, who claims to still hold the actual game-related S.T.A.L.K.E.R. rights, still own. But no doubt the finer details of this are best left to the courts. Meanwhile, fans can ignore the whole mess if they want, and instead just look forward to Survarium.